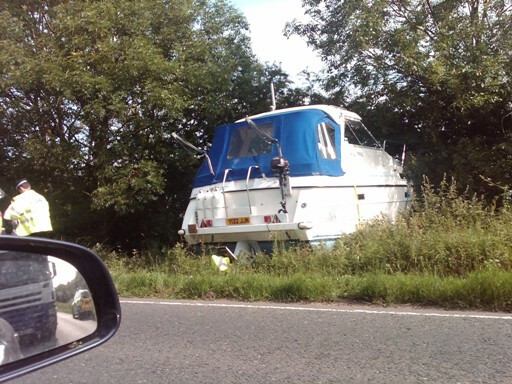 Boat Crash, but on the road!! Very Random, but I took this on my way to work this morning. Wrong turn anyone?!? !